My son Pace is wearing the outfit. We tried to order the head but it was out of stock sooo I thought I would make it for him and the body as well. I bought a lot of different colors of greens and greys and cut them and glued them to the box . I also put neon lights on the box. 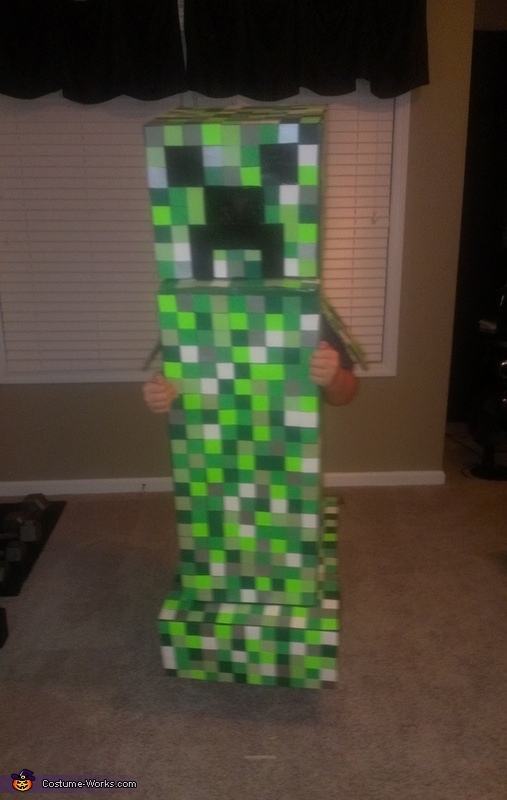 Cool costume that my wife had done for r son.Alot of hours put into the creeper!!! What a great costume. Looks like it took a lot of work to make. I'm sure Pace loves it.